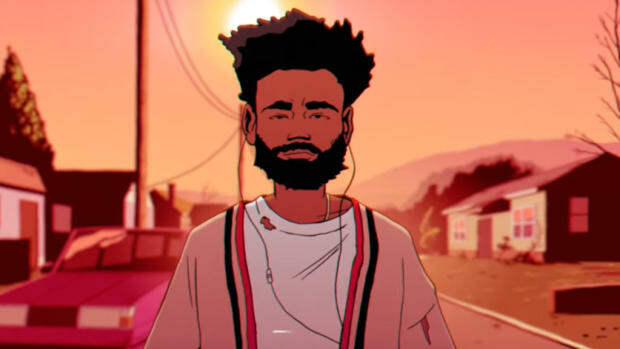 A stripped-down version of Childish Gambino’s “Feels Like Summer” is performed over the lone radio in the sweatshop. A woman leans over, instinctively, and turns the volume up above the factory buzz. The scene rapidly changes and the song is mixed with ocean waves as someone fishes with their radio sitting steadfastly by their side. After a few seconds, the scene shifts again and now Gambino’s acoustic sound turns into splashing water as three women do their laundry in a river. 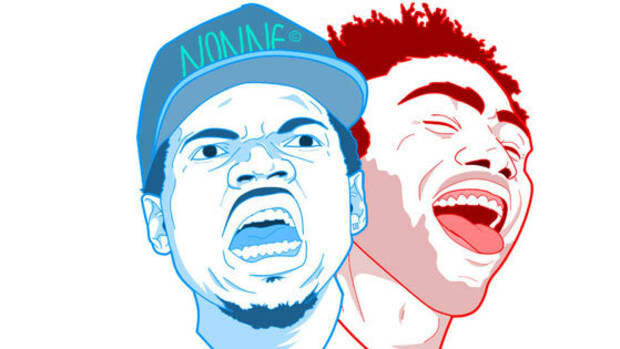 Gambino’s stilling vocals then lace the conversation of four men in an office. In the most powerful shot to not feature Rihanna&apos;s character Kofi on screen, two men share silence over cigarettes as the music fills the air before static replaces the guitar and the dial is adjusted. 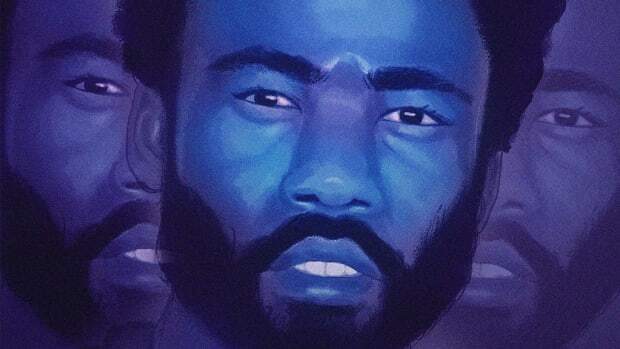 At the same moment the signal returns, Gambino&apos;s hum replaces the abrasive sound of static, and a vision of music that is lived in and crosses physical separation comes into clear view. In 2019, our concept of real-time is less about the experience and more about the reaction. It matters far less for us to be consumed in the spirit of whatever thing we’re watching or listening, and matters far more for us to react to it. Maybe having a platform to respond is a good thing—hell, it’s the only reason I’m even able to share these words—but in this particular scene, the inability to consume and respond in real-time meant the music was being lived in as it sat underneath every action it soundtracked. Therein lies the true beauty of Guava Island: Glover can offer context to all the music he’s released over the past year, to soak each song in community. 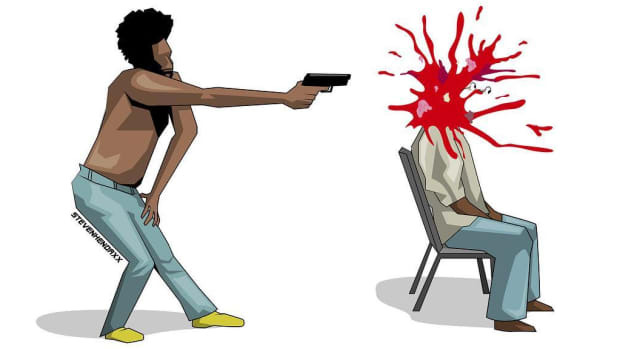 For example, while “This Is America” became a GRAMMY-winning single earlier this year, its explosive appeal meant the images Gambino attempted to keep rooted in a specific experience were quickly swept up, parodied, and reproduced by people who couldn’t even recognize the ad libs littering every line of the record. 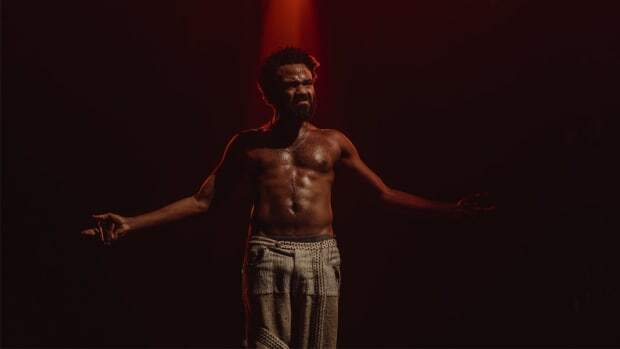 “This Is America” was fueled by its visual accompaniment, but there was too much gas for Gambino to control the fire. 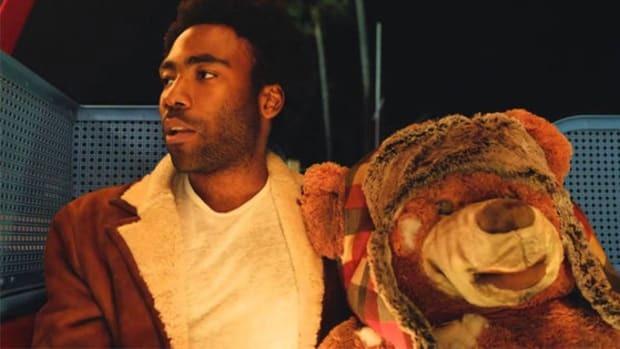 In Guava Island, however, Glover repurposes the music, slipping “This is America” into a scene which recontextualizes its message. Instead of an anti-capitalist rallying cry, the record becomes a hyper-specific fable warning the exploited Afro-Caribbean working class of the fate of their entrepreneurial spirit. “Summertime Magic,” released in 2018 alongside “Feels Like Summer,” sprouts new life as Deni performs the record for an apprehensive Kofi, at least until she adoringly wraps her arms around him. An unreleased song preemptively titled “Saturday” is performed by Deni at the festival driving the film’s plot; the track is devoted to getting people to dance and bringing them together. It succeeds at both, and in doing so gives Deni the legacy he always wanted. When “Feels Like Summer” plays during Deni’s radio show, it’s given a new communal context, one that extends beyond buildings and touches people in different walks of life. 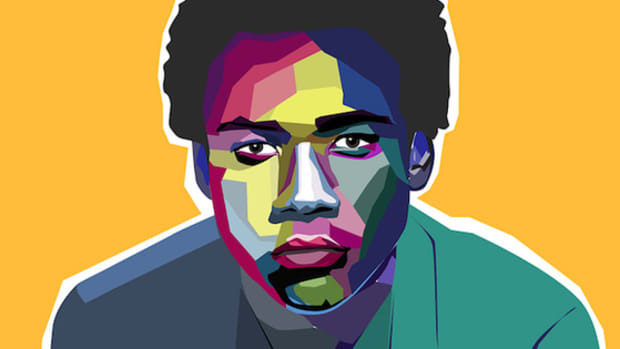 For the eight billion people Glover imagined experiencing the heat of summer, the record fills the intersection of individuality and the implied connection in knowing you aren’t the only one tuned in to the broadcast. 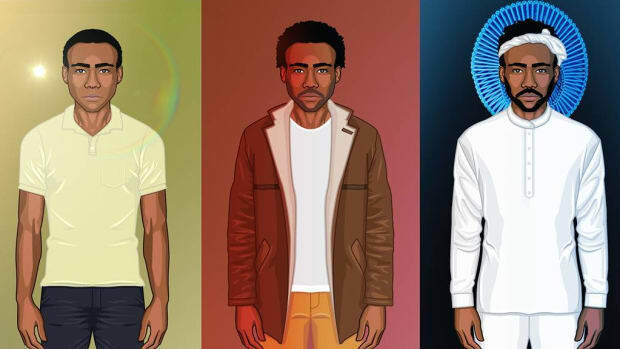 Post-Because the Internet, this sensation of connection has been Donald Glover’s goal. 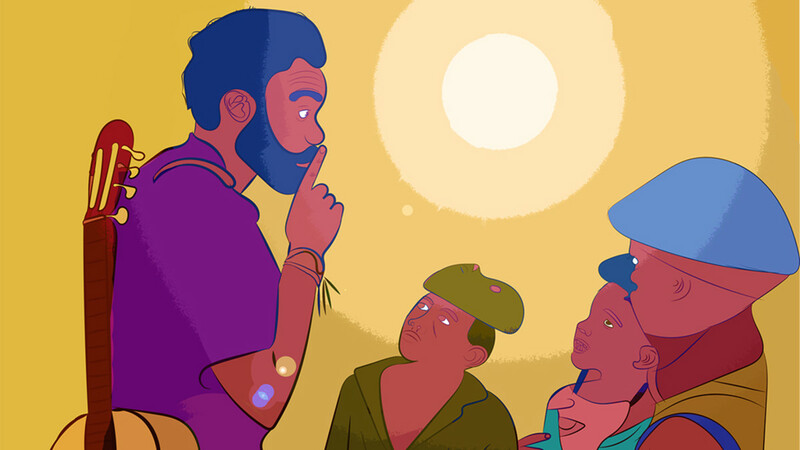 Childish Gambino has dipped his toes in musical stylings of yesteryear, a sound his younger fans are likely unfamiliar with but have lapped up with every breathy falsetto. Written on the walls of this decision is an intentional desire to create community—a community that links generations together over Bootsy Collins grooves. Guava Island is burdened by some confusion, namely in the cacophony of accents its inhabitants use, but its sociopolitical critiques are blunt and its imagery is soft thanks to the virtuoso directorial eye of Hiro Murai. Every spot of Havana caught on camera is radiant, everywhere Glover galivants with the shirt he hasn’t closed since 2015 and every spot Rihanna slinks in the foreground with her light-bending gravity is a place to be cherished. As Glover melds his varying polymathic talents, we’re treated with stories and settings so well crafted, visualized, and soundtracked, a twinge of voyeuristic grief sets in as we watch the lives of these inhabitants unfold. For two seasons, we&apos;ve experienced the magical realism of Glover&apos;s Emmy-award winning drama Atlanta. If the challenge is to keep these stories rooted in the communities they represent, to that end, Guava Island delivers.